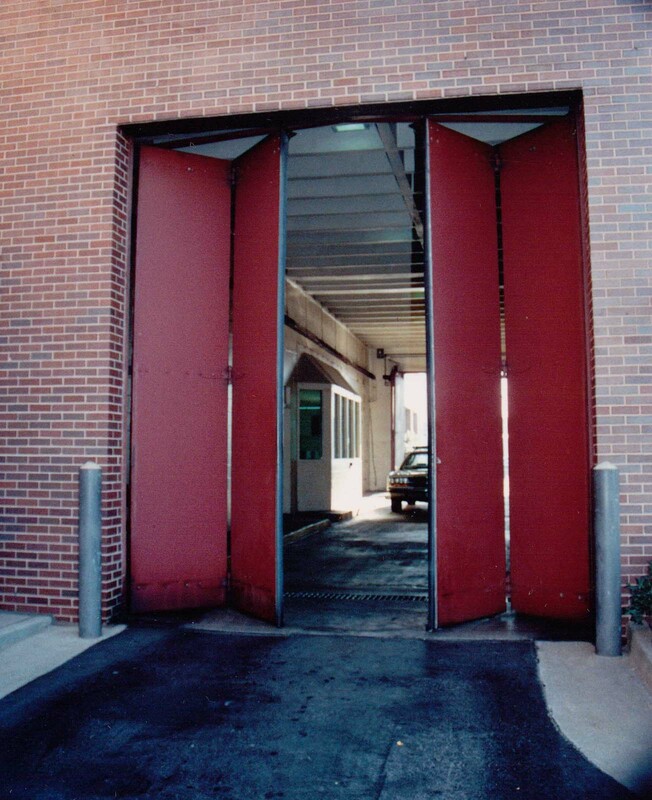 Since 1987, EPD has provided doors to over 200 correctional facilities in all 50 states. 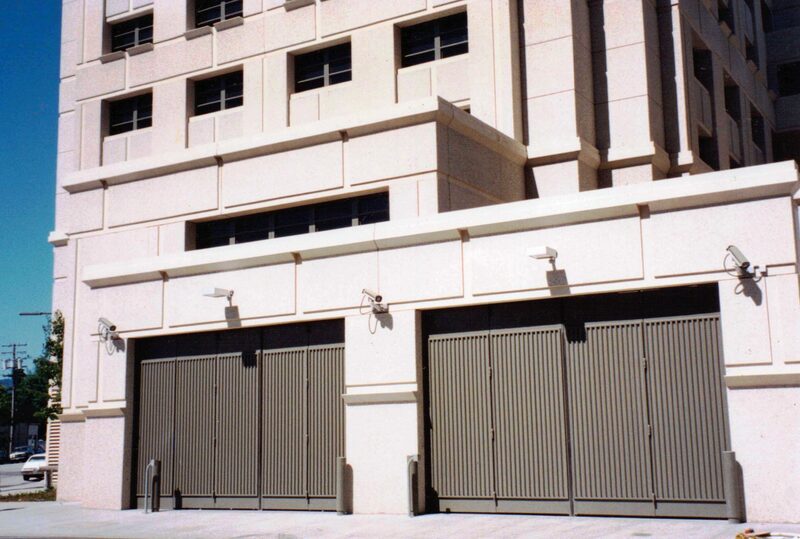 EPD doors for correctional facilities can include a variety of automated controls and locking systems. 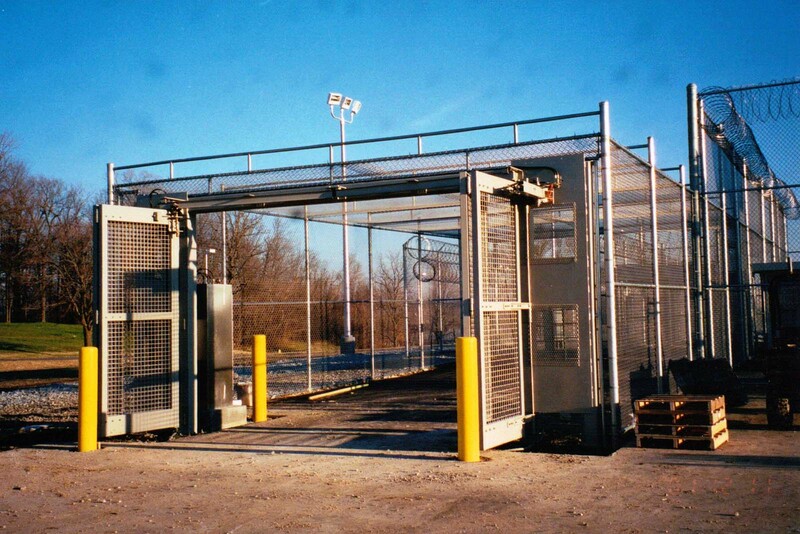 Working closely with the Federal Bureau of Prisons, EPD has developed and manufactured automatic attack-resistant locking mechanisms designed for security and riot control requirements. 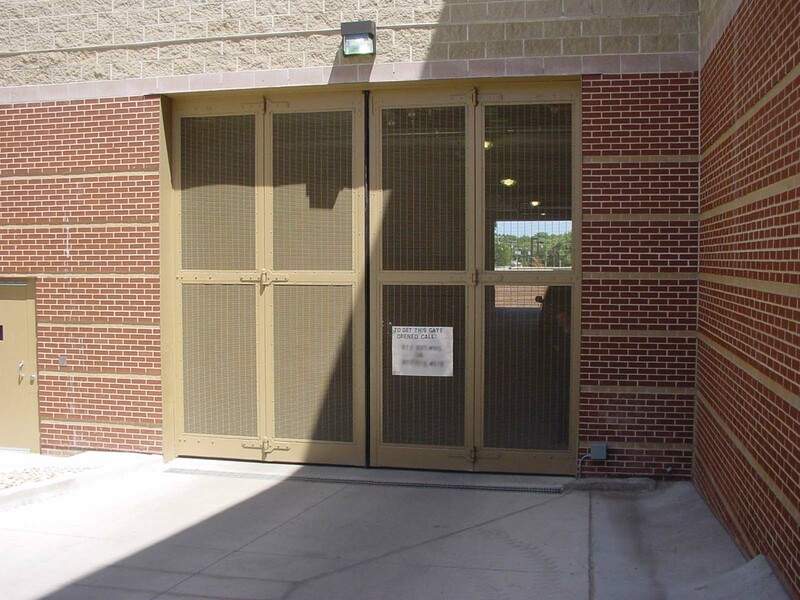 Sally Port doors on correctional facilities are known for repeated opening and closing cycles – as many as 200 to 300 times a day. 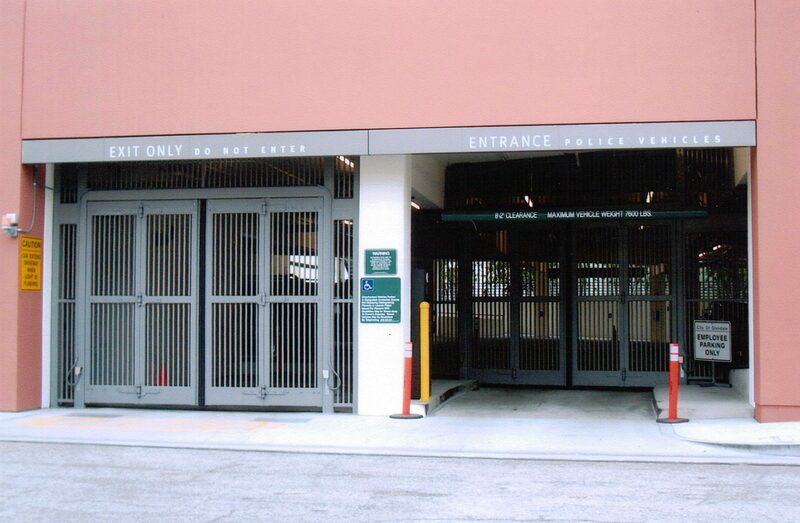 That’s why EPD’s four fold and bi-fold doors are so popular. 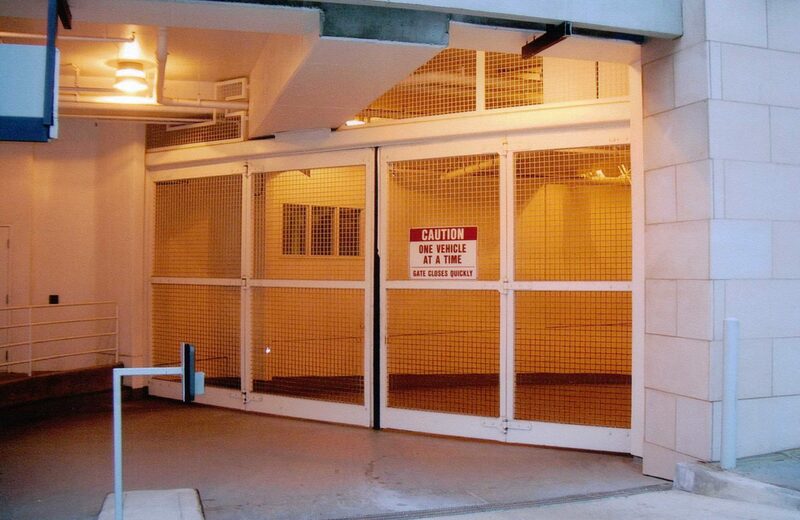 You can depend on their operation for over two million cycles with minimal preventive maintenance. 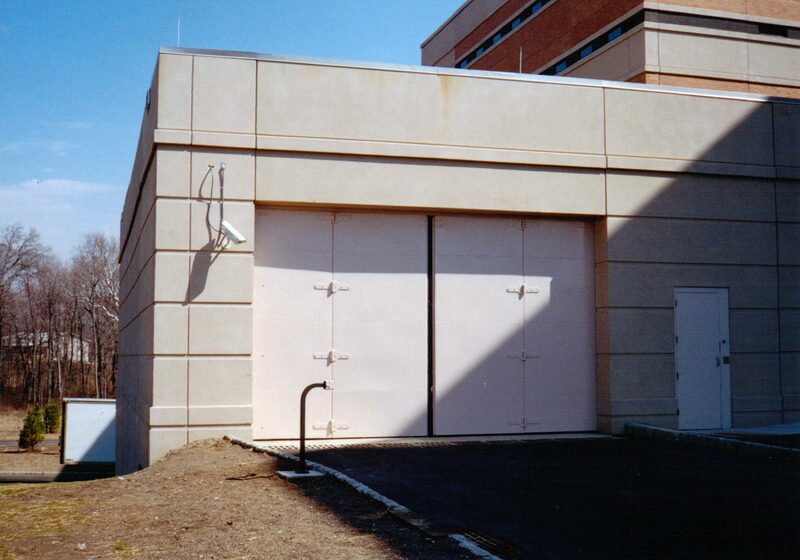 EPD doors last 20 to 30 times longer than conventional doors. 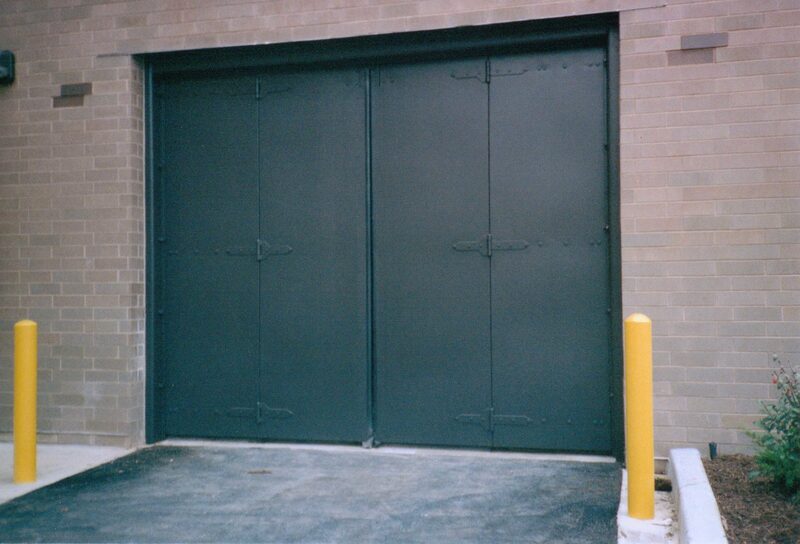 There’s always a possibility of vehicle and door damage on high usage doors. 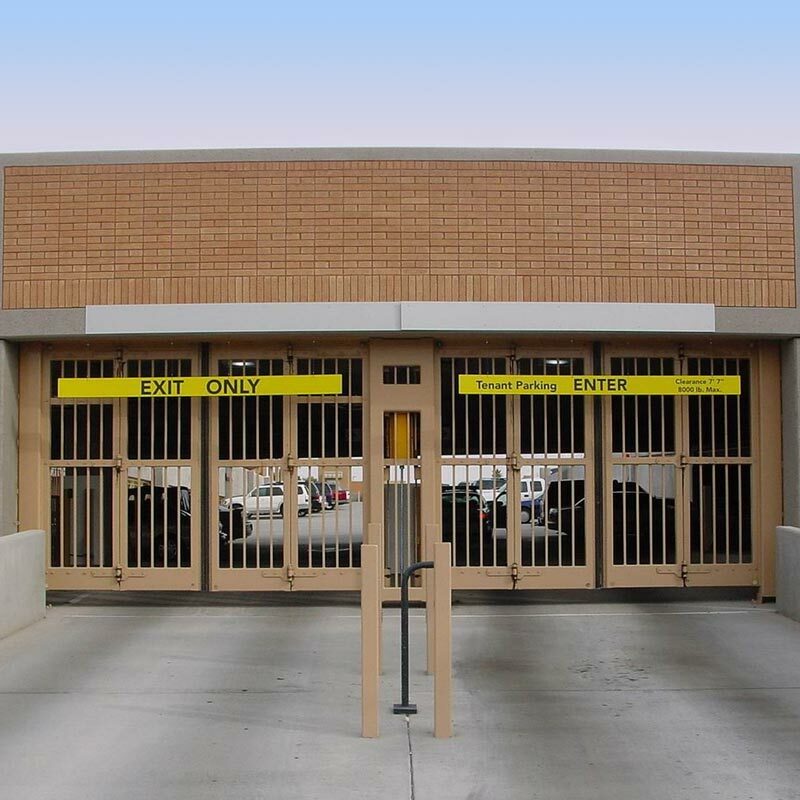 EPD’s four fold and bi-fold doors reduce the likelihood of these problems by rapidly moving the door panels in a sideways direction, keeping the door panels in the sight-line of the driver. 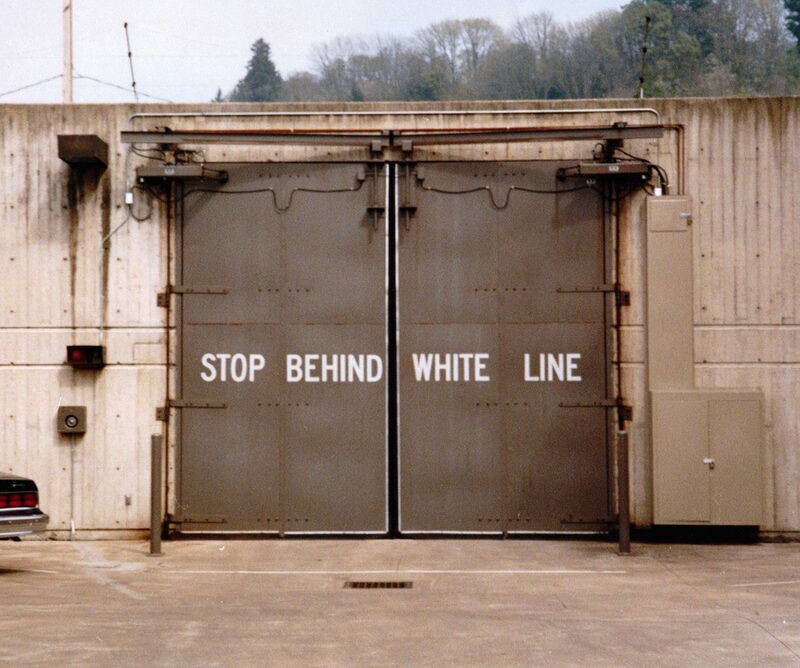 The quick, two-feet-per-second opening and closing speed also reduces the chances of damage. 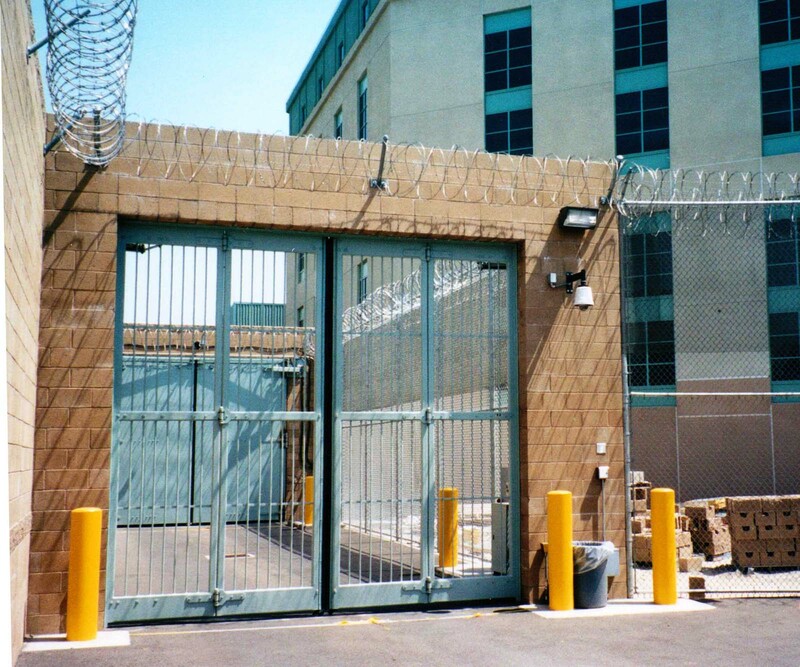 Four Fold Model 45, LA Central Jail Twin Towers CA. 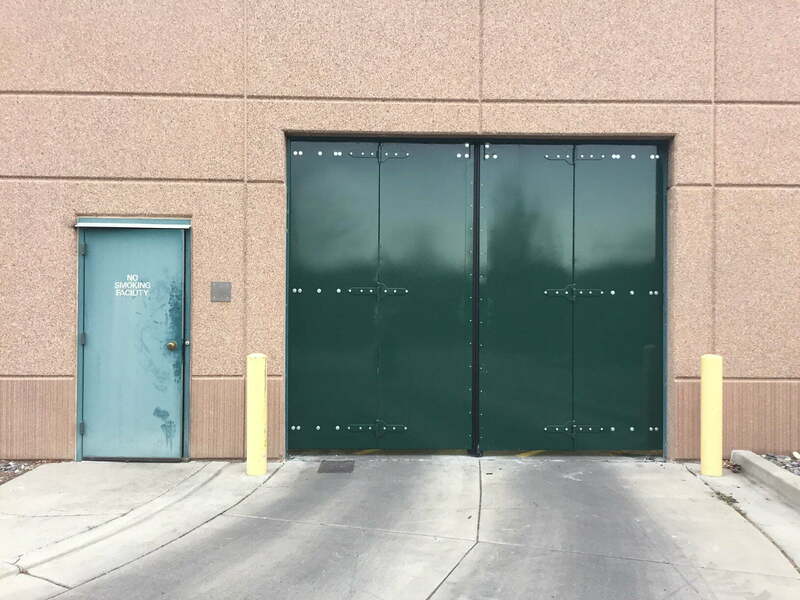 EPD Four Fold Doors installed at the Theo Lacy Facility in Orange County, CA. 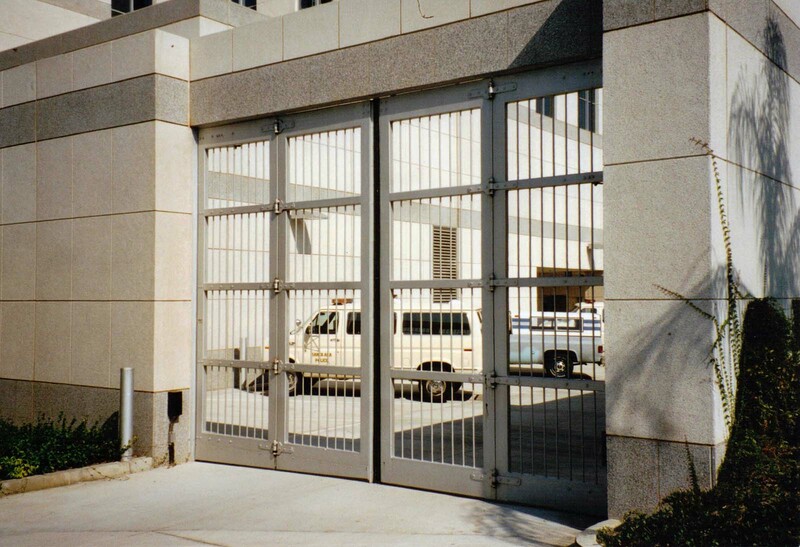 The front gate is a Model 47 Door and the back door is a Model 46 Door. 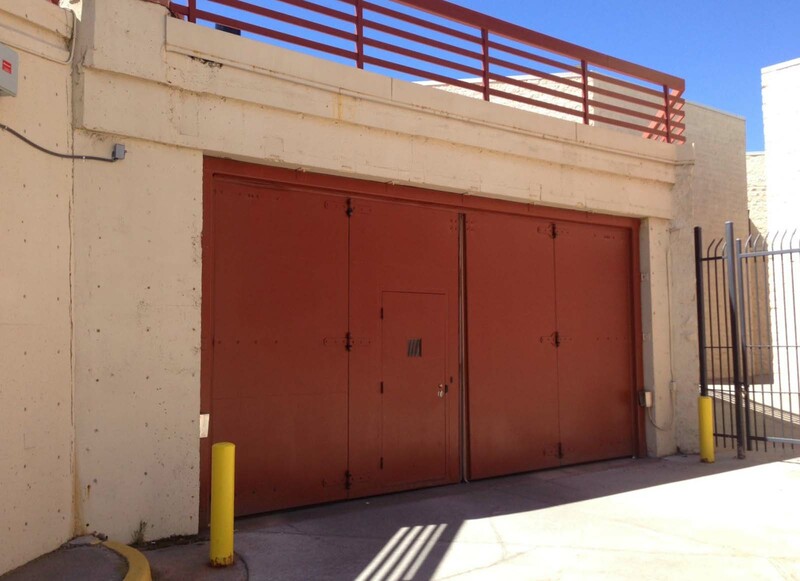 EPD Four Fold Doors on Coronado Police Station Coronado, California. 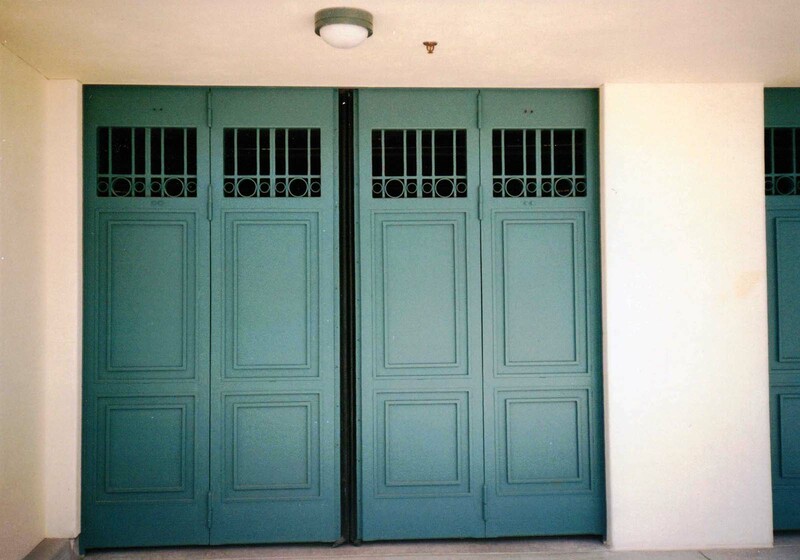 Raised panels with a decorative bar design and concealed hinges on the doors. Four Fold Model 38 (Raised Panels) Tarrant County TX. 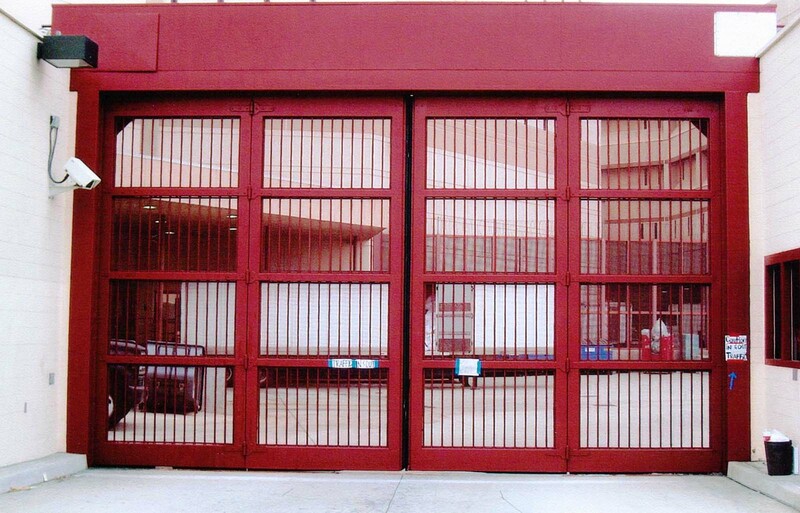 Four Fold Model 45 LA Central Jail Twin Towers CA. Four Fold Model 45 Santa Ana Police Department CA. 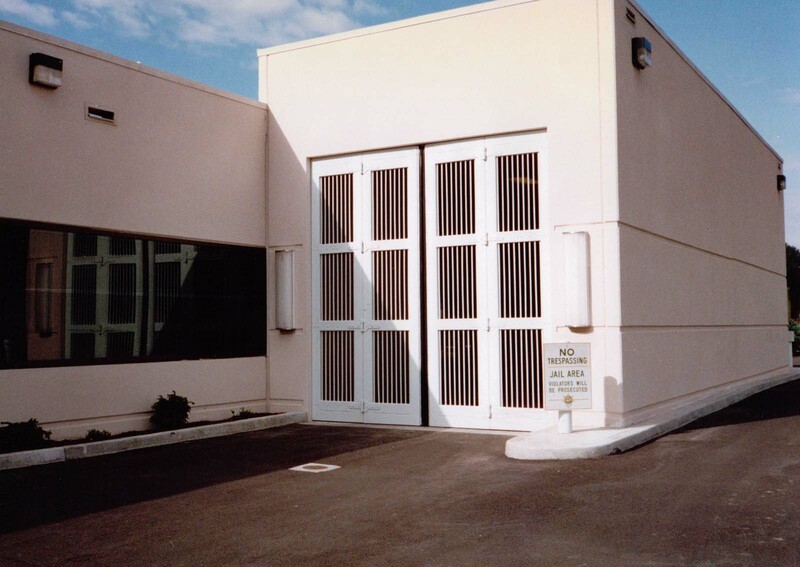 Four Fold Model 46 with Special Cladding McGuire Detention Facility CA. 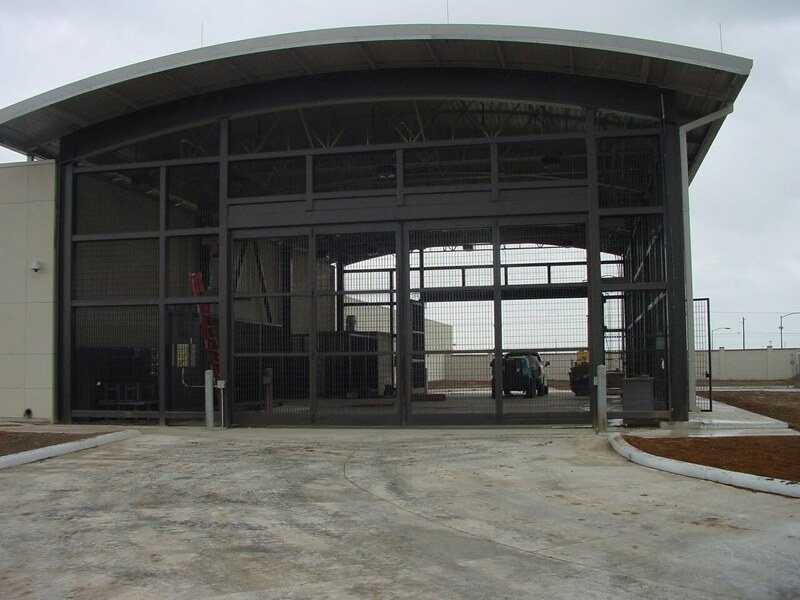 Four Fold Model 47 Eagle Pass Border Station TX. Four Fold Model 47 Ellis County Jail TX. 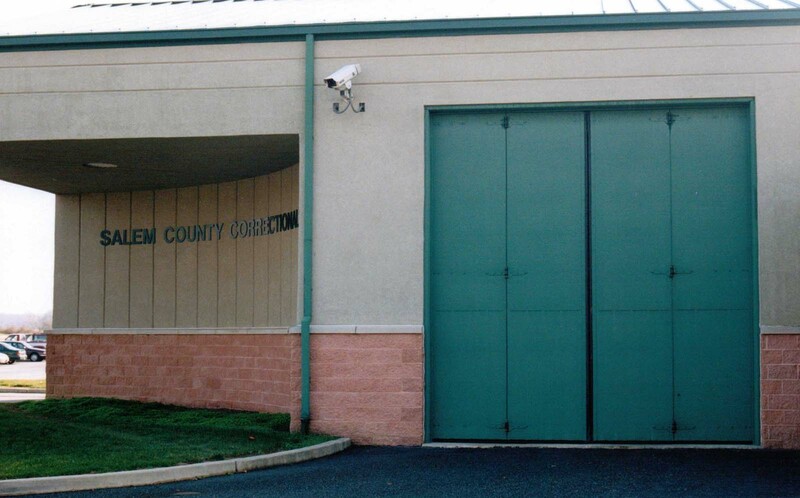 Four Fold Model 47 Monmouth County Correctional NJ. 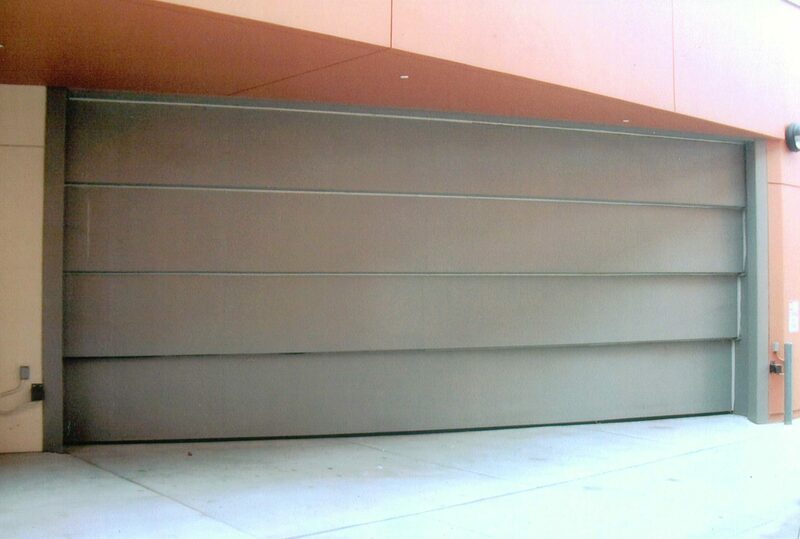 Top Hung Sliding 1 Leaf with Design and Mandoor Bronx Juvenile Center NY. 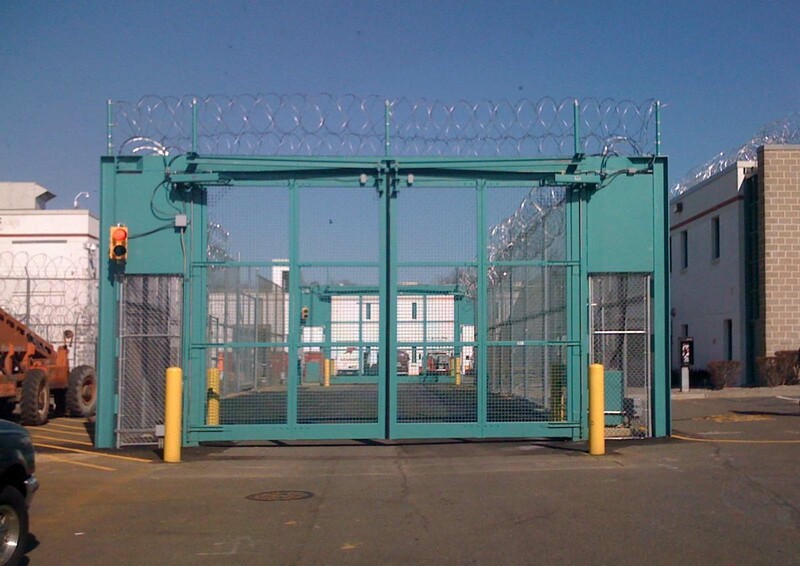 Four Fold Custom Sally Port Bronx Juvenile Detention Center NY. 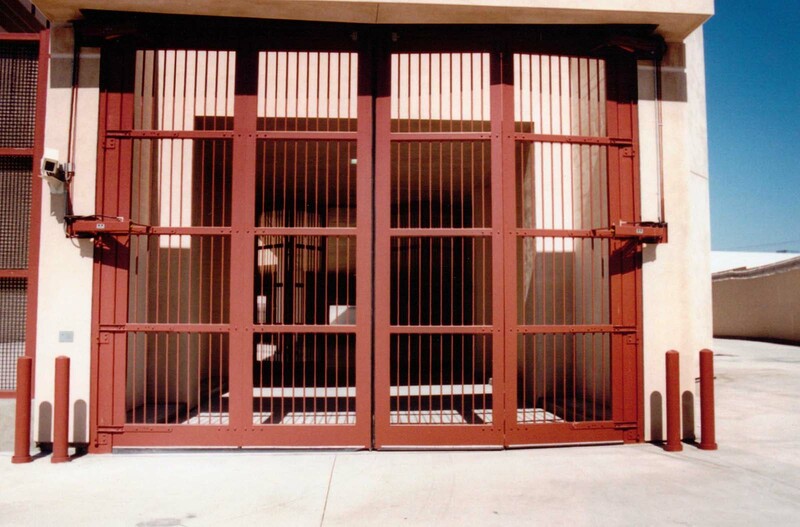 Four Fold Model 45 Sally Port Multnomah Co. Inverness Jail OR. 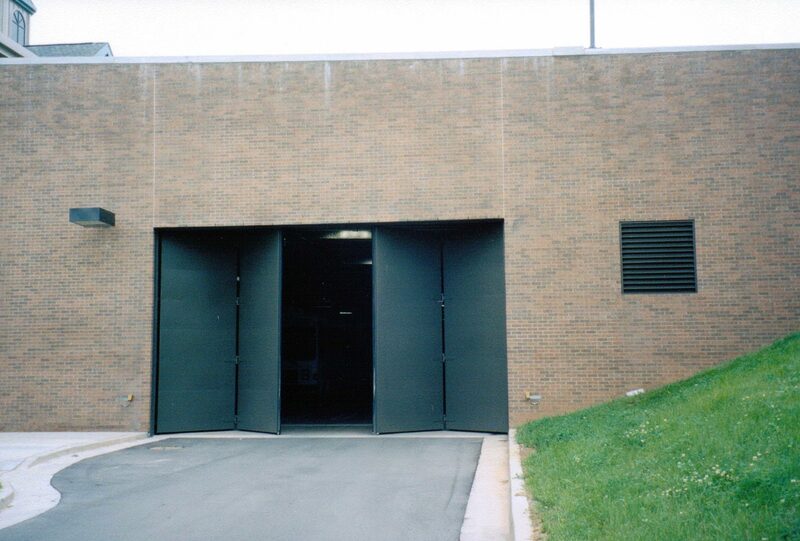 Four Fold Model 46 Sally Port Arapahoe County Jail CO.
Four Fold Model 46 Sally Port Atlanta Pre-Trial Detention Center GA.
Four Fold Model 46 Sally Port Lane Co Jail Eugene OR. 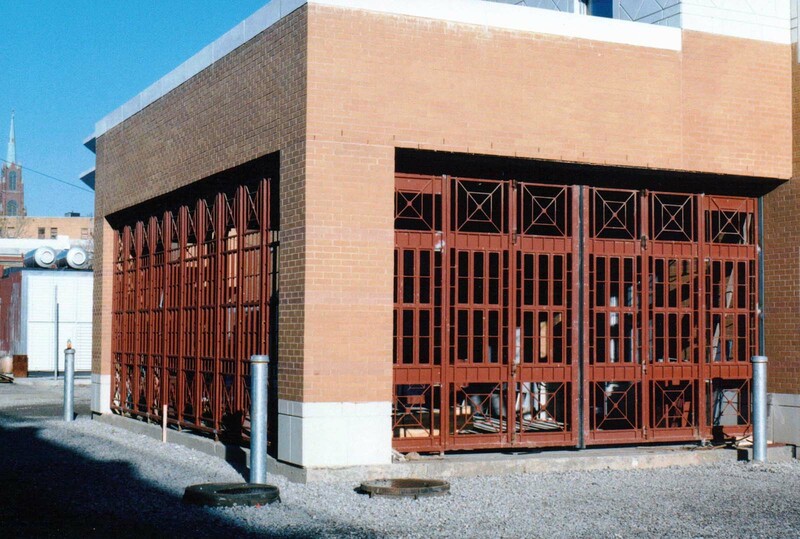 Four Fold Model 46 Sally Port Lexington-Fayette County Jail KY.
Four Fold Model 46 Sally Port Mesa County Jail CO.
Four Fold Model 46 Sally Port Morris County Jail NJ. 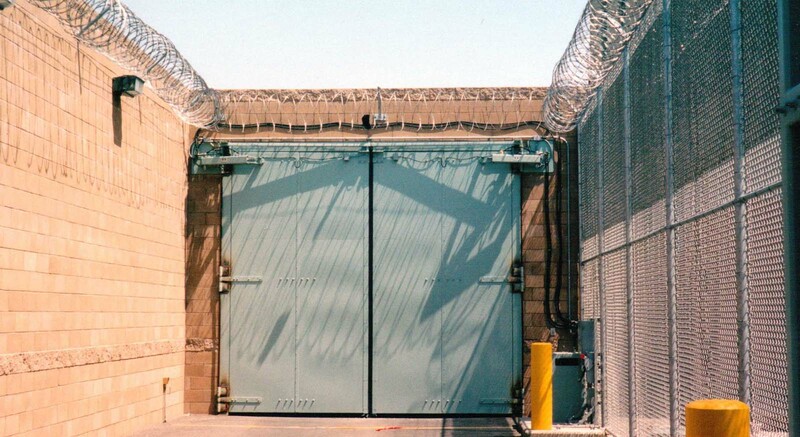 Four Fold Model 46 Sally Port Salem County Correctional NJ. 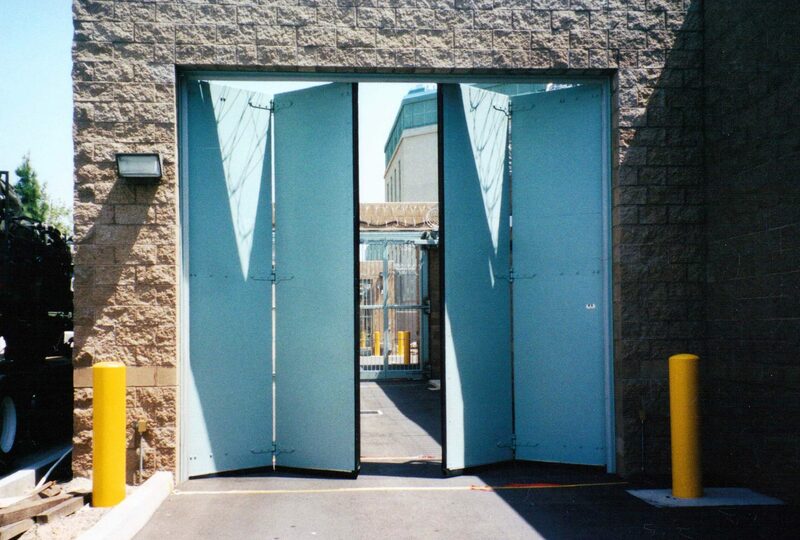 Four Fold Model 46 Sally Port Theo Lacy Facility CA. 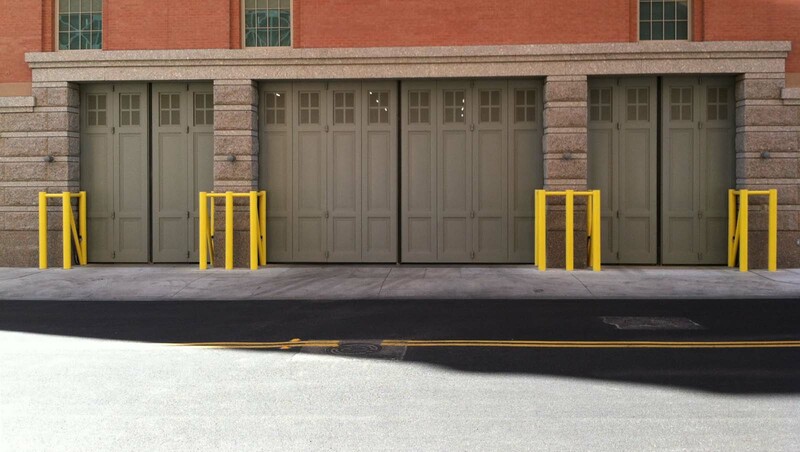 Four Fold Model 46 Sally Port Youth Services Center Washington DC. 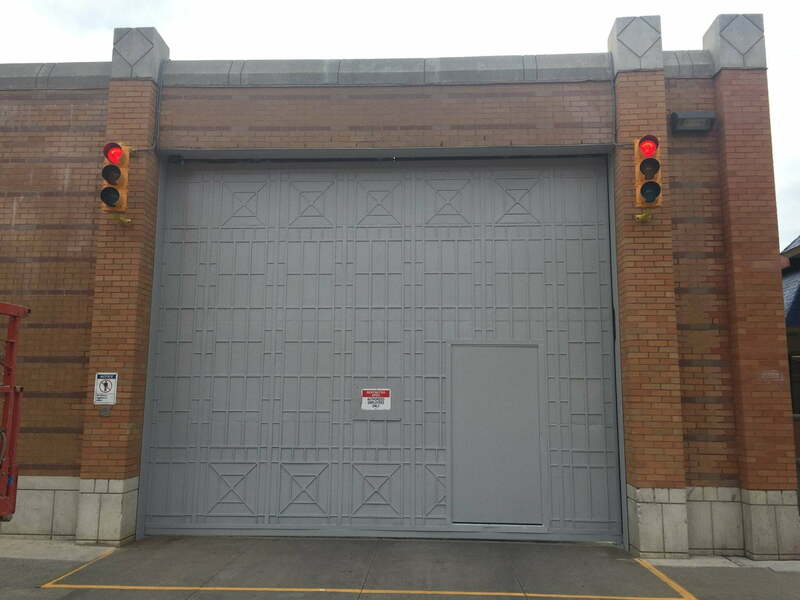 Four Fold Model 47 Sally Port New Castle Correctional. 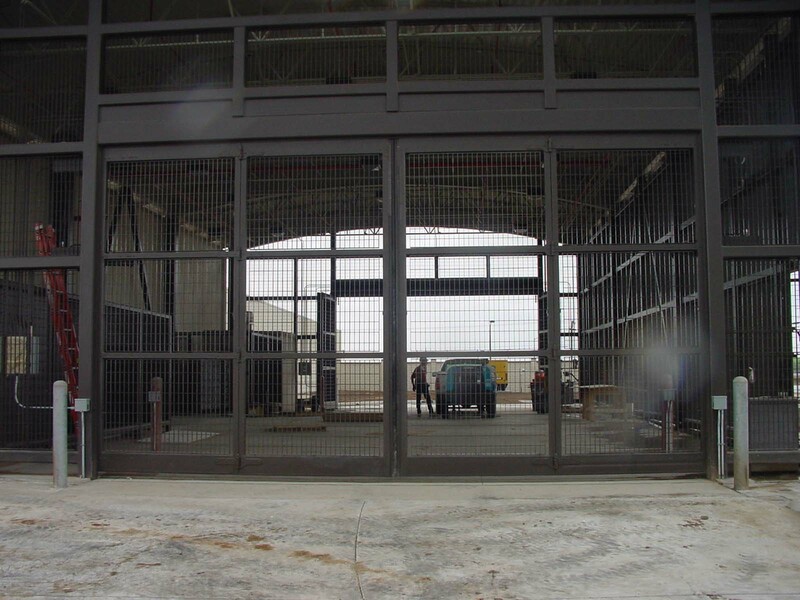 Four Fold Model 47 Sally Port Theo Lacy Facility CA.